The Boston Terrier is the "All-American" dog. They are the first dog breed to originate in the United States of America. 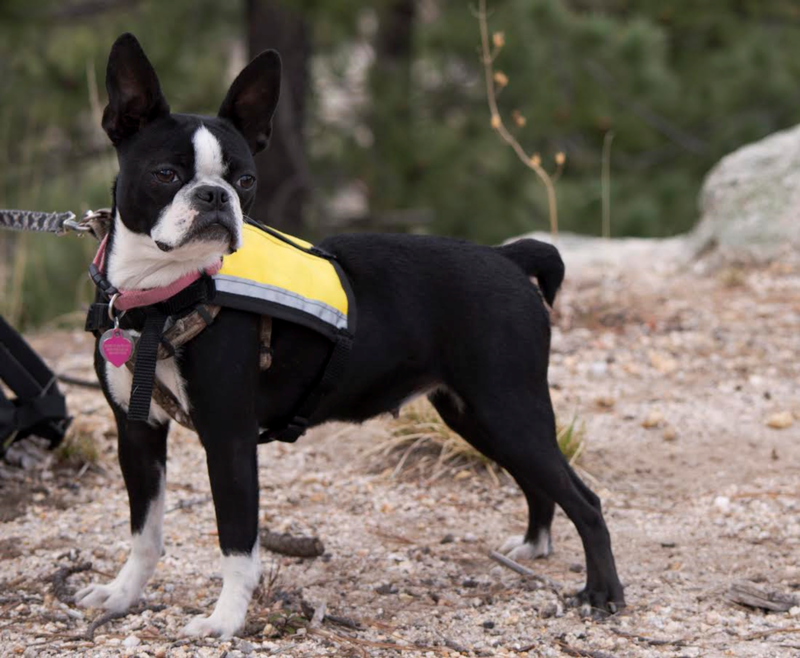 Bostons are members of a lively and highly intelligent breed with an excellent disposition. They look determined and are strong, athletic dogs. Bostons are often described as "The American Gentleman" to a great extent because of their dignified manner and statuesque stance. "Hooper's Judge" is likely the ancestor of almost all true modern Boston Terriers. "Judge" was born around 1870 in Boston and was a cross between an English Bulldog and a White English Terrier. The White English Terrier is an extinct breed and only a little is known of her appearance and temperament. She and her mate certainly passed along some wonderful genes to give us the Boston Terrier. Boston Terriers were recognized by the American Kennel Club in 1891. 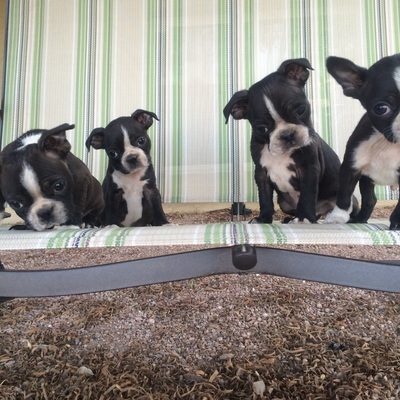 Originally most or all Boston Terriers were brindle and white. In the 1920's to 1940's black and white Bostons became increasingly popular and were recognized by the AKC. Today, black and white, seal and white, and brindle and white Bostons are all able to compete in confirmation trials with the AKC. Red and white Bostons are not yet allowed to compete in confirmation trials, but can be registered with the AKC as true Boston Terriers.